To purchase the book click on any of the below links. All forms, labels and checklists included in Appendix C.
Selected camera and magazine illustrations and threading diagrams, including some that are not in this edition of the book. 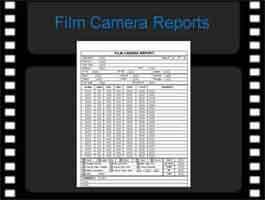 Links to selected camera manuals. Links to cinematography Apps for the iPhone, iPad and iPod Touch. 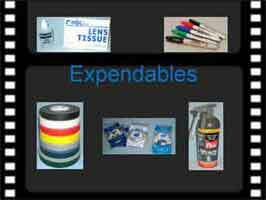 Selected tables and formulas from Appendix E.
About the Author Click on one of the below links to access that section of the site. 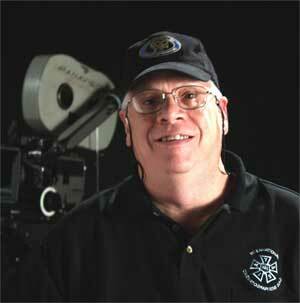 David E. Elkins, SOC has over 25 years of professional experience as a Camera Operator and First Assistant Cameraman, working on feature films, television series, commercials, music videos, educational films and much more. His more than 125 production credits include the television shows The Wonder Years, Star Trek: The Next Generation, and Gabriel’s Fire; feature films Waxwork, The Unholy, Claire of the Moon; commercials for McDonalds, Burger King, and Life Savers; music videos for The Red Hot Chili Peppers, Beastie Boys, Coolio, Air Supply, Poco, along with many others. Information provided on this site is provided "as is" without warranty of any kind, either express or implied. Every effort has been made to insure accuracy and conformance to standards accepted at the time of publication. The reader is advised to research other sources of information on these topics. Click to visit author's personal web site 3. This document may not be distributed for profit. All trademarks acknowledged. Using a Panavision Panaflex Gold 35mm camera as the example camera, this video shows many of the steps you should follow when doing a basic camera prep. It is by no means complete, but covers most of the steps you should follow. Please keep in mind that each camera system is different. Cameras such as those from Arriflex, Aaton or Moviecam, may not have all of the same features as the Panavision. 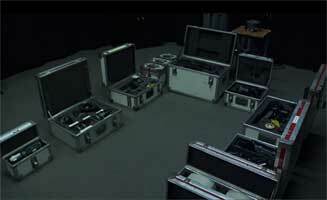 Camera components and accessories may attach differently or look different from one camera system to the next. This video is designed to help you understand the basics of the prep. The important thing is to check everything so that you are sure that the camera system will function properly on the first day of production (hopefully). Be sure to check out the section on Camera Prep in Chapter 5 of The Camera Assistant's Manual, 6th Edition and also don't forget to use The Camera Prep Checklist from Appendix C as a guide when performing the prep. 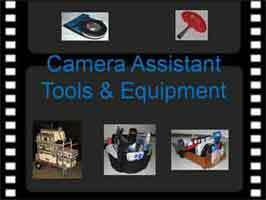 The Camera Prep Checklist may also be downloaded from the Forms, Checklists and Labels page of this web site. Click on image to open Power Point Presentation. If using a Mac these may also be opened using Key Note. Many of the files or links located on this site are in Adobe PDF Format. To read these files you will need Adobe Acrobat or Adobe Reader. and following the instructions for your operating system. If you need further assistance, please refer to the Adobe web site.